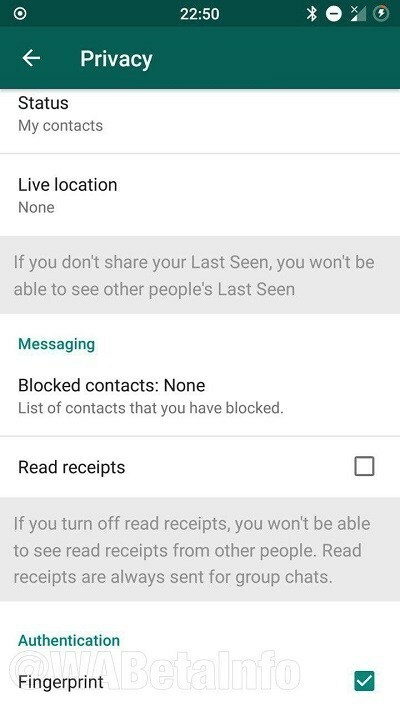 Report from Whatsapp beta update for Android said that the company will be introducing fingerprint security feature on WhatsApp in few weeks. This is to provide extra level security to the app by restricting unauthorized person from accessing user’s chats. WhatsApp is expected to roll out couple of features this year which includes Ads, Face ID and Touch ID for iOS and of course, the fingerprint security feature which is currently under development. WhatsApp fingerprint security feature will be available in few weeks for Android users with Marshmallow and above operating system devices, and iOS users. Once development is completed and Fingerprint security feature is enabled, users will be required to authenticate their identity before they can access the app. WhatsApp is also working to improve the audio picker that will allow users to see the list of all available audio files stored in your phone. The user will be able to play the audio before sending it, and it is also possible to select more audio files to send.